Heading into the seeding meeting of the 2019 Mel Smith Husky Invitational at Florence High School on Friday morning, Bayfield High School head coach Todd McMenimen got a clear sense of just how talented the field was going to be. Bayfield had two solid days of wrestling and finished 15th out of 31 teams on Saturday, and had two top-three finishes. Additionally, out of the 11 wrestlers who competed for Bayfield, seven made it to Saturday’s matches. Eagle Valley won the team title with 168 points, Eaton finished second with 159.5 and Pagosa Springs took third with 151.5. The Wolverines got a sense of what the latter half of the season will bring, with performances from both John Foutz and Daniel Westbrook each earning a top-three finish. Foutz, at the 195-pound weight class, finished third after he was able to pin Gauge Lockhart of Delta, the No. 4-ranked wrestler according to the latest 3A rankings from On the Mat, in the third-place match with a pin at the 3:12 mark of the match. BHS also had a placer from Westbrook (220) and took second in his weight class, after he lost a narrow decision to the No. 1 wrestler in 3A, Eli Smith of Salida, in a 1-0 decision. It was Westbrook’s first loss of the season. McMenimen was also confident that with a bit more time in the wrestling room, if Westbrook and Foutz are to meet their same opponents in the state tournament, the results will be different. Shane Moore (170) and Dylan Pickering (126) made the consolation bracket quarterfinals. 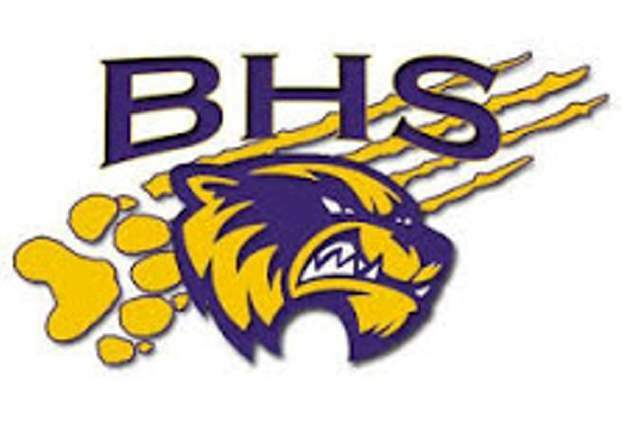 Bayfield will host Centauri at 6 p.m. Thursday at BHS. Ignacio High SchoolThe Ignacio High School wrestling team also competed at the Husky Invitational, where it finished 25th with 42.5 points, and had two wrestlers who placed in the top-six. Dustin Sanchez (160) finished in fourth, and lost in a major decision to Mac Copeland of Bennett High School, 10-1. While the afternoon ended against the No. 3 wrestler at 160 in 3A, Sanchez picked up wins in the championship second round with a technical fall, and a quarterfinal overtime tie-breaker over Zach Sandoval of Centauri. He lost his first semifinal match but won the consolation semifinal in a 5-2 decision against Liam Young of the Classical Academy. Cesar Pedregon (182) finished in fifth overall and fought back with three consecutive consolation bracket wins to get to the quarterfinals. In the fifth-place match, he won by a major decision over Judson Church of Eaton, 14-1. IHS will travel to Paonia for the Screaming Eagle Tournament, one of the toughest on the Western Slope, at 9 a.m. Saturday, Jan. 26 at Paonia High School. Durango High SchoolThe Durango High School wrestling team fared well in its two-day challenge at the Sand Devil Classic in Page, Arizona. DHS had four wrestlers place out of eight who competed. Austin Albrecht (182) finished in fourth after he was pinned by Gavin Carter of Canyon View, Utah. Both Alex Finneseth (160) and Tyler Woodworth (145) rebounded after their last tournament was cut short due to injuries, and Woodworth finished in sixth, after he was pinned by Kadin Jones of Kanab, Utah, while Finneseth finished in fifth, after he pinned Gabriel Brown of Flagstaff at the 4:21 mark. The final wrestler who placed for DHS was Owen Eicher (106) as he finished in sixth, and narrowly lost in a 9-8 decision. Head coach Leo Garand said the tournament was a great experience. DHS will travel to Montrose for a 5A/4A Southwestern League tri, with the time to be announced, Saturday, Jan. 26 at Montrose High School.